In response to the growing body of empirical research demonstrating a substantial co-occurrence of intimate partner violence (IPV) and animal abuse, domestic violence shelters are increasingly offering on- or off-site services to care for the pets of abused women accessing shelter services. This paper analyzes all public websites of first-stage shelters in Canada (n = 337) to offer the first examination of what these shelters are communicating about this co-occurrence of abuse and an appraisal of what services are available to survivors with pets. The findings indicate that less than half of the websites mention pets, and only 1% of shelters report offering on-site pet programs. There are significant relationships between websites addressing the role of pets in both safety planning and help-seeking among abused women and the provision of pet shelter services. The paper concludes with suggestions for pet-related information on domestic violence shelter websites in Canada and elsewhere. Alleyne, E., & Parfitt, C. (2017). Adult perpetrated animal abuse: a systematic literature review. Trauma, Violence, and Abuse. Retrieved from http://journals.sagepub.com/doi/abs/10.1177/1524838017708785?journalCode=tvaa. Beattie, S., & Hutchins, H. (2015). Shelters for abused women in Canada, 2014. Juristat, 85-002-x. Retrieved from https://www150.statcan.gc.ca/n1/pub/85-002-x/2015001/article/14207-eng.htm. Canadian Internet Registration Authority (CIRA). (2018). Internet use in Canada. Retrieved from https://cira.ca/factbook/domain-industry-data-and-canadian-Internet-trends/internet-use-canada. Florida Courthouse Therapy Dogs. (n.d.) http://www.flcourthousedogs.com/. Government of Canada. (2017). Elimination of violence against women. Retrieved from http://international.gc.ca/world-monde/issues_development-enjeux_developpement/gender_equality-egalite_sexes/violence_against_women-violence_contre_femmes.aspx?lang=eng. Klinkenberg, M. (2017) Frazzled travellers get some canine help to calm their nerves. The Globe and Mail March 31, 2017. Retrieved from https://www.theglobeandmail.com/news/alberta/pet- therapy-takes-off-at-canadianairports/article34547201/. Raymond, J. (2016) Campus therapy dogs offer a helping paw to stressed students. NBC News. April 15, 2016. Retrieved from https://www.nbcnews.com/feature/college-game-plan/campus- therapy-dogs-offer-helping-paw-stressed-students-n556576. Statistics Canada. (2010). Internet use by individuals by government on-line activity. Retrieved from http://www.statcan.gc.ca/tables-tableaux/sum-som/l01/cst01/comm34a-eng.htm. Statistics Canada. (2013). Canadian internet use survey, internet use, by location of use, household income, and age group for Canada and regions. Retrieved from http://www5.statcan.gc.ca/cansim/a26?lang=eng&id=3580154. Statistics Canada. (2016). 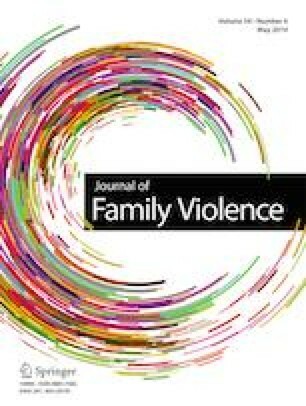 Family violence in Canada: a statistical profile 2014. The Daily. Retrieved from https://www.statcan.gc.ca/daily-quotidien/160121/dq160121b-eng.htm. Statistics Canada. (2017). Life in the fast lane. How are Canadians managing? The Daily. Retrieved from http://www.statcan.gc.ca/daily-quotidien/171114/dq171114a-eng.htm?HPA=1. Stemler, S. (2001). An overview of content analysis. Practical Assessment, Research & Evaluation, 7(17) Retrieved from http://PAREonline.net/getvn.asp?v=7&n=17. The Associated Press. (2018) Put your paws up: Detroit-area police department adds cat. CBC News. April 9, 2018. Retrieved from http://www.cbc.ca/news/canada/windsor/troy-police-department-cat-1.4611005. United Nations Human Rights Office of the High Commissioner. (1993). Declaration on the elimination of violence against women. Retrieved from http://www.ohchr.org/EN/ProfessionalInterest/Pages/ViolenceAgainstWomen.aspx.